Earlier this summer the wife and I were down in old Key West for a few hot, sweaty days. Based on our time there, Key West can best be summed in a handful of bullet points. There aren’t as many beaches as you think there’d be. The western half of Duval Street is like Bourbon Street’s less successful younger brother. I didn’t see one cop the entire time we were there. On a related note, I did see a man walking down Duval Street wearing only a wig and a purse. They will literally make a bar out of anything, making an attractive spot out of an alley, a parking lot, a wooden shack, among other things. As with most tourist destinations, to get a real feel for Key West, it’s best to venture off the beaten path. This last thing is something we did on our last night on the island, bypassing the over-crowded Duval Street haunts soundtracked by seemingly the same one doughy white dude on acoustic guitar for a joint a block or two off of Duval Street- the Green Parrot. We went because A) it had been recommend to us as a place we might like by someone who knew what we might like and B) this dude Eric Lindell was playing and thanks to the randomness of Spotify, I knew of Eric Lindell, liked one song of his and was curious enough about Eric Lindell to check out Eric Lindell and his band, the Grand Nationals, out. The Green Parrot has a local vibe to it, the subtle charm of a bar you can ramble out your front door and take a quick jaunt over to. The windows were open, the bar took up most of the space and in a good way, and they had free popcorn. When I’m president, I can promise you that every bar in the United States will have free popcorn or they will quickly find themselves without a liquor license. It just makes sense. I’m also going to get rid of ATM fees and make it at least somewhat possible to change or cancel an airline reservation. Oh, I’m also going to lower the prices of razor blades. It’s an ambitious platform; that I can admit. But it’ll be the one I run on when the time comes. Also, baseball games should never run longer than three hours. 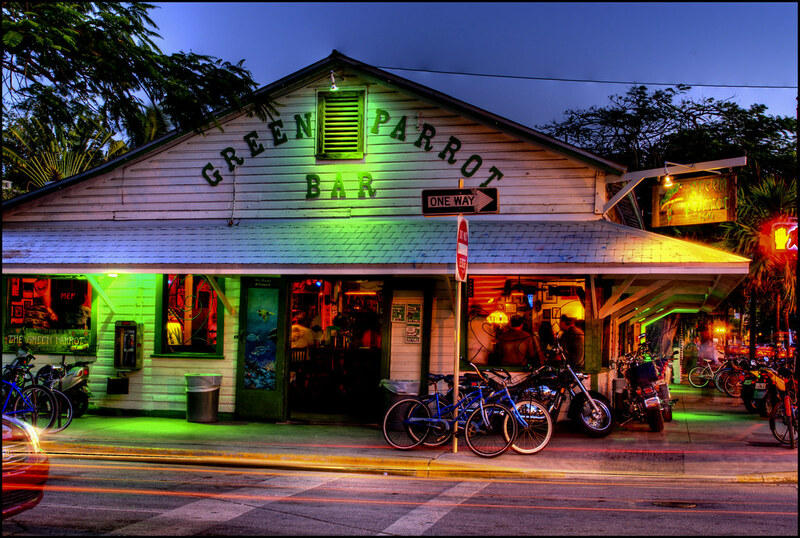 The Green Parrot is the kind of bar you can easily set up shop in for hours. You wouldn’t even have to try. And on this particular night it was especially appealing with Lindell playing. He’s an assuming fella, wearing a plain white t-shirt, a scruf that was a few days old and an easy going smile on his face. He was backed by a bassist and a drummer and shortly after we got there, the drummer embarked on a solo that was drenched in New Orleans swing. He stood up; was much taller than I expected. I always assume drummers will be short. I could be projecting. Regardless, Lindell and his dudes closed out their set with some tasty boogie-soaked grooves. It felt rooted in blues, related to Americana, influenced by a layover in New Orleans and drenched by a warm afternoon sun. I was first introduced to Lindell via the magic of Spotify, with his song “What I Got” popping up on a radio station or one of those daily mixes or something like that. The specifics allude me, but I do recall being drawn to the simplicity of the song, how laid back it both sounded and felt. It’s an easy song to like and it had staying power, making it’s way into semi-regular rotation and popping up on various playlists. I never really felt compelled to dig deeper into Lindell’s discography, though, and truth be told, I’m not entirely sure why. I suppose I was happy with this one song and that was that. Not every new thing you hear compels you to launch a deep dive. Sometimes songs you stumble across are like talented college basketball players, one and done and that’s that. I guess I just assumed that was the case when it came to Eric Lindell. But fast forward to these few days in Key West and on our way to the welcome dinner (we were there for a wedding,) we drove past the Green Parrot and I saw the poster outside saying Lindell was playing. That one song I liked of his might not have been enough to dig deeper into his catalog, but it stuck with me enough that upon seeing his name I immediately said to My Darling Wife that this was a crazy enough stroke of luck that we had to act on it. Before leaving this enclave of southern, sweaty drunks and scuba divers and chickens roaming freely, we would need to come check this show out, which we did and we enjoyed it, loved it and came away wanting to listen to more from this Eric Lindell fella. That deep dive that never happened after first hearing “What I Got” did finally happen after seeing him live. It was an endeavor, though. Lindell has himself a fairly deep discography, so deep that one of his releases is a “best of” album. I’m not sure what the exact rule is, but I’d have to imagine that you’re not allowed to release a best of record until you have released at least four albums. Lindell had dropped a handful of releases before releasing his first album on Alligator Records, Change in the Weather, in 2006. His next album, Low on Cash, Rich in Love, was released in 2008 and is the one that includes “What I Got,” as well as “Lay Back Down,” one of his more popular songs on Spotify. 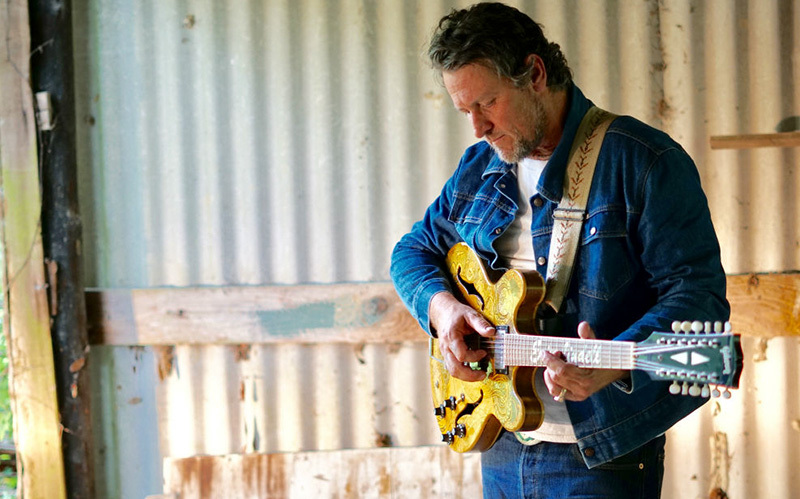 After that, Lindell released Gulf Coast Highway in 2009, an album of B-Sides and West Coast Drifter in 2011. His last new studio album, Matters of the Heart, came in 2016. His latest album, Revolution in Your Heart, is set to be released this fall. Lindell’s music is summer music, perfect for easy-going days spent under the hot summer sun, beer in hand, a worry-free landscape ahead of you. It’s comfort food; not overly complicated, but super delicious to indulge in. His live show had a little bit more to it than his studio work, but that’s to be expected. I’d also attribute the laid-back vibe of his live show to his surrounding when we saw him in Key West. There’s something in the air down there that encourages you to slow things down, see where days take you and explore at a lackadaisical pace. Maybe if you saw him on a cold night in Chicago, things might be different. I don’t think they would be, but it’s possible. It’s not as if Lindell only has the one speed. He has a few speeds to him, a few pitches at his disposal, enough to make him a solid reliever coming out of the pen. Lindell’s never going to throw a no-hitter for you, but he’ll come and get the guys out you need him too. Sometimes that’s more than enough. So for your consideration, especially on a Monday in August as summer slow walks it’s way to the exit, the laid-back, southern-soaked, well-traveled sounds of Eric Lindell.